Worship is at the very core of our life as a congregation, which makes working on this committee both challenging and delightful. With the pastors and preaching team, this group thoughtfully sets direction for the congregation’s worship, selecting themes, organizing special days, choosing leaders, and setting out guidelines for the many who contribute to guiding worship, including musicians, readers and others. The committee encourages worship practices that draw on the gifts and experiences of many in the congregation; that meet the spiritual needs of everyone at least some of the time; that balance tradition with creativity, solemnity with joy, exuberance with meditation, challenge with comfort; and above all that honour and draw us closer to the God we come here to meet each Sunday. 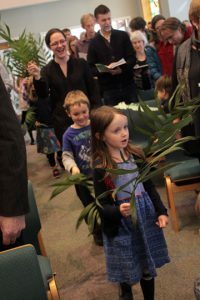 All segments of the congregation, including children and youth, may participate in leading worship on a given Sunday. Some members of the committee are elected; others are invited by the committee to join. We try to maintain a balance of genders, ages, cultural backgrounds and experience that’s representative of the community we serve. If you’re interested in being a part of the committee, or occasionally leading some aspect of our worship, please contact anyone on the committee. We’re always pleased to have feedback and input.